If the white oak is the giant of the forest, as described in our last post, then the white fringe tree is the fairy of the woods. 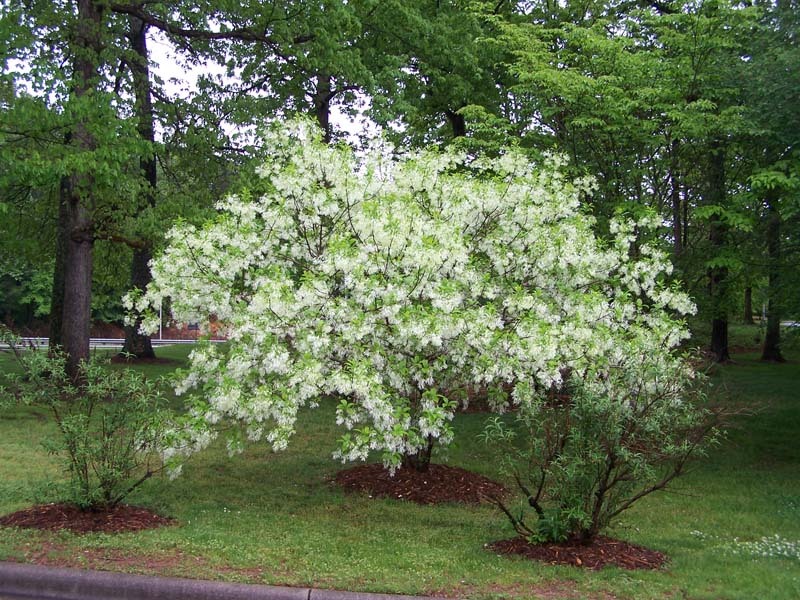 With delicate, lance-shaped, white blossoms, the fringe tree is surely one of the most delicate and enchanting of native species. It is described as uncommon to rare in Wildflowers in Color which covers the Southern Appalachian Mountains. Indeed, I have never been lucky enough to spot one in my forays into the Shenandoah National Park or George Washington National Forest. When it is in full bloom in May or June, the splendor of its numerous white blossoms would likely stand out amidst the green of the forest. It also likes moisture so grows next to streams but can flourish on open rock outcroppings. 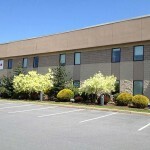 In landscaping, this shrub/small tree rarely grows taller and wider than 20 feet, making it perfect for an accent amidst a border planting or as a single specimen. It is not fond of wind so should be somewhat protected. Chionanthus virginicus is dioecious so both male and female produce flowers but pollination is needed for the female to produce fruit. These fruit look like tiny dark blue plums or olives and are much favored by songbirds and small mammals. 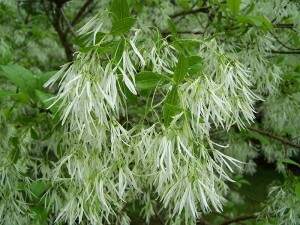 The fringe tree serves as a host plant for the rustic sphinx (Manduca rustica). The sphinx moths are dramatic large moths often mistaken for hummingbirds. They are day-flyers and are among the fastest flying insects, traveling at more than 30 mph and have the ability to fly sideways to avoid predators (unlike most insects) . 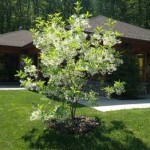 The fringe tree is a flexible landscaping choice with its splendorous, airy, flower display, interesting fruits and multi-stemmed growth habit which, when spotlighted, can provide a dramatic feature.